Well that is the Xerox Extensible Interface Platform (EIP) on the Multifunctional printers (MFP). Still not clear? Let’s take a closer look; the Xerox Extensible Interface Platform enables independent software vendors, partners and in-house programmers to develop customized programs that can be accessed directly from the Xerox Multifunction printer. These solutions can use your existing network infrastructure and databases. By itself, EIP is not a product it is a tool to integrate applications with your MFP. You can take advantage of applications from industry-leading software providers, or, since EIP is based on web standards, it’s easy for anyone with development capabilities to create custom solutions. A software development kit is even available so that your in-house developers can create unique solutions for your business. 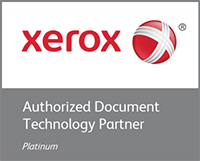 There are several Xerox Partner solutions that are currently available to customize your work processes. Imagine having an “Invoice” button on your MFP touch screen that would allow you to send an invoice to the right department and store the information in a management system for easy retrieval. This is just one of many possibilities. The MFP with the use of EIP can adapt to your work processes instead of having to adapt your work processes to the MFP. To find out more about the EIP please review the EIP site. There you will find tabs that will show you which machines have the EIP capability. There is also a tab that will show you an overview of all the software solutions now available for use with your EIP enabled MFP. To find out how to enable the EIP on your MFP please go to the support page for your MFP. I have included a video that will show you some of the possibilities with the EIP technology. This video might give you some ideas on how you can use EIP to enhance and simplify your work processes, the possibilities are vast!